Although the impossibility of predicting future recessions seems almost axiomatic, a growing crowd of economists, pundits and market participants have added their voices to the chorus proclaiming an impending recession in 2019 or 2020. The next recession is unlikely to mirror the 2008 financial crisis in duration and severity, but several of the more plausible scenarios that have been bandied about are nonetheless worth watching closely. We examine three in brief below. 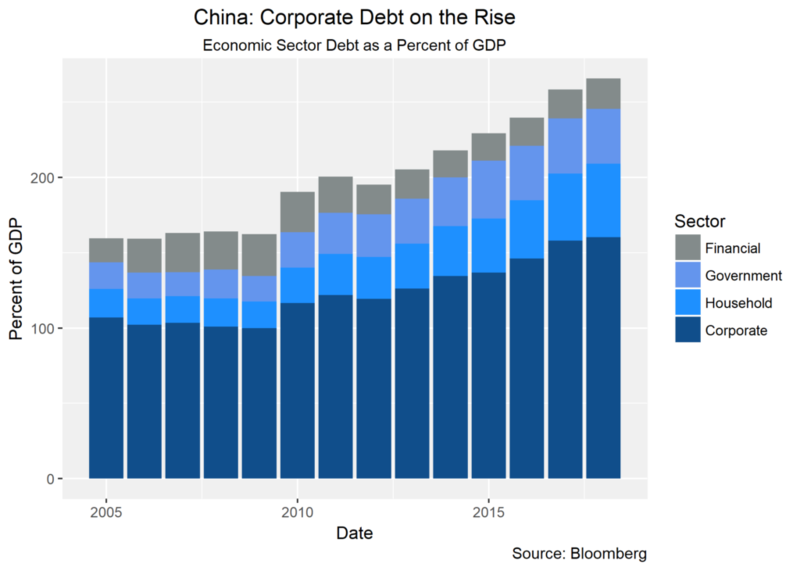 China’s seemingly miraculous economic growth over the past decade has taken place against the backdrop of a largely unprecedented rise in domestic debt. Local policymakers have proven unwilling to allow regional economies to slow below party mandated targets, using implicit government support to corporates to juice failing “zombie” industries. As a result, corporate debt has soared, even as growing international competition, rising rates and a central government crackdown has put pressure on off-balance sheet financing and shadow loans. Credit booms of this size frequently have financial crises as close companions. It is certainly possible that the outcome is a world with lower future growth but no outright crises. Several ameliorating factors include China’s high savings rate and solid credit to deposit ratio. China also has a highly controlled capital account, making it less subject to flighty capital from foreign investors during a downturn, and a government which can take decisive action with little concern for public opinion. The impact of any sort of slowdown in China would be felt around the globe, with the nation representing a quarter of global growth. The central government’s ability to guide China to a soft landing in this scenario would be key to limiting the magnitude of impact on trading partners. 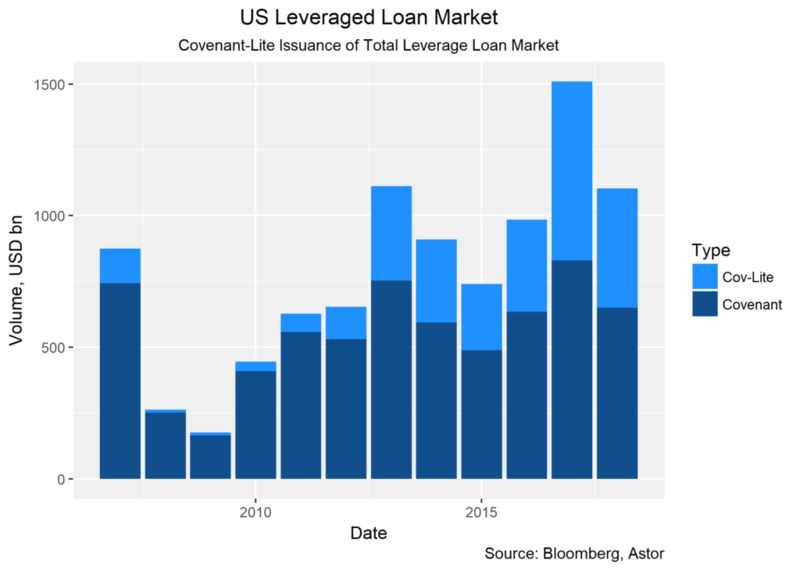 The leveraged loan market has exploded in volume since the Great Recession. These loans are made to risky corporates and frequently repackaged into Collateralized Loan Obligations (CLOs). Low global rates have fed into sky-high investor demand for CLOs, which in turn has allowed for loan contracts to be more forgiving to debtors, so called “covenant-lite” loans. Should sentiment turn, many may find that their highly rated CLO has more than a few bad apples, and investors who have been holding CLOs rather than high yield bonds may recover less on distressed loans. CLOs performed admirably in 2008, with the top tranches never defaulting. Despite the increase in covenant-lite contracts, the secured senior loan status for many leveraged loans should help protect against downside risk. A blowup in the leveraged loan space would likely be symptomatic of a broader recession rather than the root cause. Nonetheless, the possible illiquidity of CLOs in a crisis would slow the redeployment of capital and perhaps exacerbate the deleveraging process. Flashy predictions of tail risk events grab all the headlines, but the truth is often more mundane. A fairly standard credit cycle turn could be driven by the Fed hiking too much, too fast, despite promises from the FOMC to the contrary. The contrarian view, expressed less frequently these days, is that the Fed is behind the inflation curve and indeed should be tightening faster. 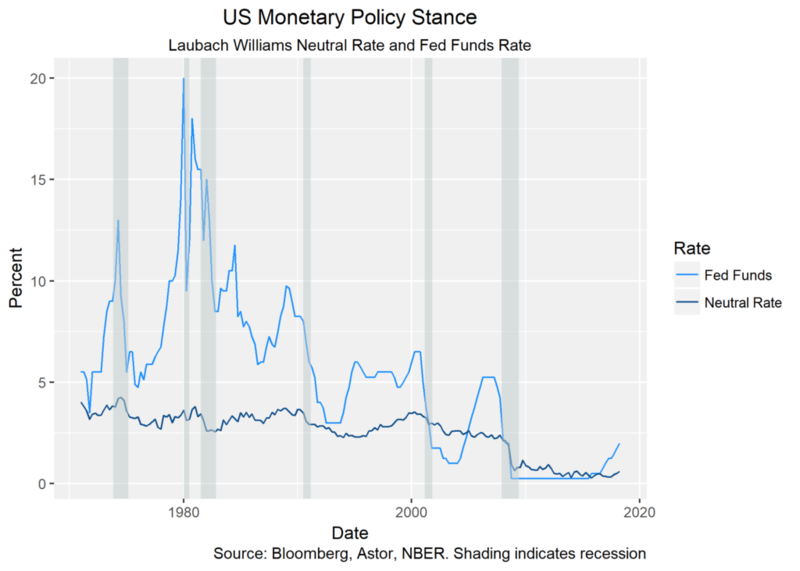 If you subscribe to this narrative, you’re more likely to believe that a credit bubble fueled by low rates will be responsible for a recession, rather than overeager rate hikes. A Fed driven recession would probably be the most benign of the scenarios presented here. Following a domestic deleveraging and slowdown, economic growth would resume after 12-24 months if policy responses are appropriate and economic contraction does not reveal any greater structural weaknesses. Unfortunately, we will only understand the next recession in hindsight. The only truly predictable event is that backward-looking analysts will deem the impetus as avoidable and obvious. At Astor, we will continue to watch global macroeconomic developments closely, and leverage our proprietary Astor Economic Index® to nowcast the state of the US economy.